Memorials should be unique to reflect the people they commemorate. 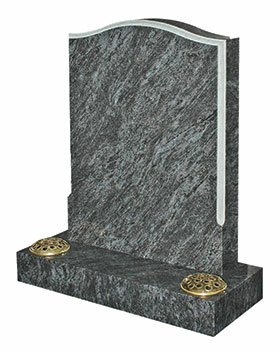 All cemeteries and churchyards have regulations concerning the size, design and materials that can be used for memorials. In many cases these regulations are intended to protect precious space and an environment that can be many hundreds of years old. With our local knowledge we can advise you on designs, sizes and finishes that will be acceptable at the diocese or cemetery authorities. We advise that at least 6 months should elapse between an interment and the erection of a memorial to allow the soil to settle. Blue Speckled granite. Ogee shaped. 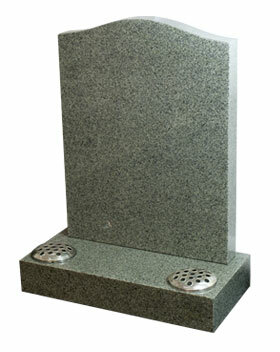 Light Grey granite. Ogee shaped. When used in churchyards this must be in the matt finish. 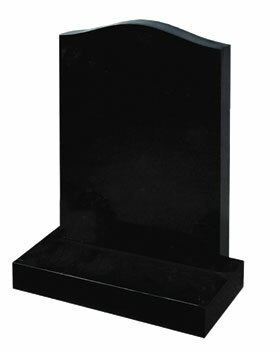 An ogee top memorial with moulded edge which can have a sanded finish as the Bahama Blue example or can be polished. When used in churchyards this must be in the matt finish. 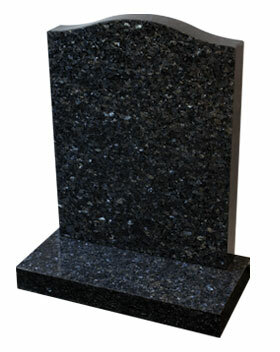 A standard Black granite. Ogee shaped.